SALEM, Mass. — When Elycea Almodovar was searching for a college three years ago, she had just two criteria: It had to be diverse, and it had to have a record of actually graduating students like her — not just taking their money and letting them drop out. Salem State, the most diverse public university in her home state of Massachusetts, checked both boxes. Its student body was 8 percent Hispanic, and growing, and the graduation gap between its white and Hispanic students had narrowed at the time to less than two percentage points, well below the national average of 10 percentage points. The school was doing so much better than its peers that it was named a top 10 institution for Latino student success by The Education Trust, which advocates for low-income and racial minority college-going. Almodovar, the daughter of Puerto Rican immigrants, was sold. She enrolled in the fall of 2015, and immediately felt at home, she recalled. “I was like, ‘Yes, this is where I want to be,’” said Almodovar, who is now a junior. More Hispanics are going to college, and their graduation rates are rising. The bad news? This progress remains uneven. As the Hispanic population in the United States has exploded, so has the number of Hispanics pursuing higher education. Between 2000 and 2015, the college-going rate among Hispanic high school graduates grew from 22 to 37 percent, according to the U.S. Department of Education. Hispanic undergraduate enrollment more than doubled, to 3 million. More than a quarter of young Hispanics — 28 percent — now have at least an associate degree, up from 15 percent in 2000. 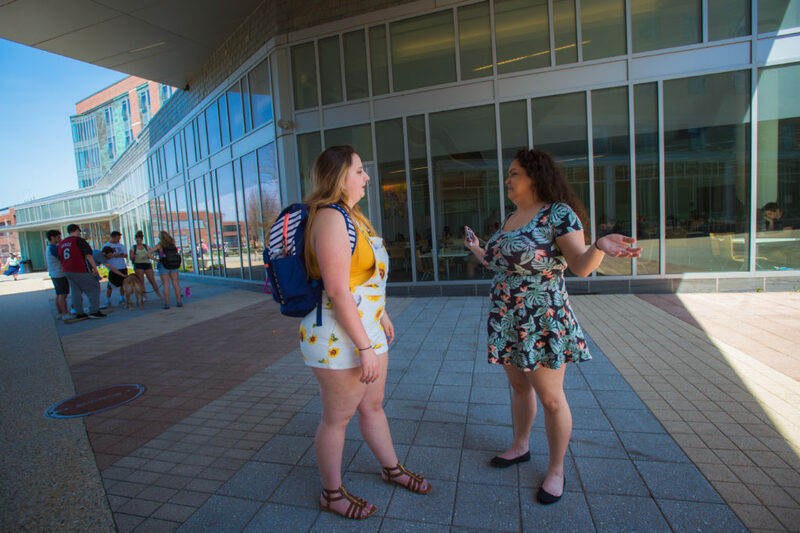 This growth has compelled colleges including Salem State, whose student body went from 5 to 14 percent Hispanic over the past decade, to pay more attention to lingering achievement gaps between their white and Hispanic students. In pockets across the country, institutions are adding Latino leadership programs, hiring more diverse faculty and expanding their cultural programming. To some extent, those efforts appear to be working. More than half of Hispanic students — 54 percent — now finish a bachelor’s degree within six years, up from 46 percent in 2002, the Education Department says. That’s the good news: More Hispanics are going to college, and their graduation rates are rising. The bad news? This progress remains uneven. Nationwide, the proportion of Hispanics who graduate within six years is still 10 percentage points lower than the proportion of whites, according to the Education Department. The proportion who graduate in four is nearly 14 percentage points lower. This disparity is leaving many Hispanics stuck in low- and middle-wage jobs, with profound implications for them in particular and the U.S. economy in general. Hispanics comprise the nation’s largest minority group, expected to make up 29 percent of the population by 2060, according to the Census Bureau. Already, one in every four elementary-school students is Hispanic, the U.S. Department of Education reports. If the divide isn’t narrowed, there won’t be enough educated workers to fill the high-skilled jobs left vacant by retiring baby boomers and annual household incomes for all Americans would drop by 5 percent by 2060, according to research conducted at Rice University. But eliminating longstanding achievement gaps isn’t easy, as Salem State has discovered. Since Almodovar enrolled, the graduation gap there has re-opened, reaching as high as 11 percentage points. Racist and anti-immigrant graffiti has appeared on the campus baseball diamond and bike path. And some students have begun demanding that the administration do more to diversify a faculty that is far whiter than its student body. 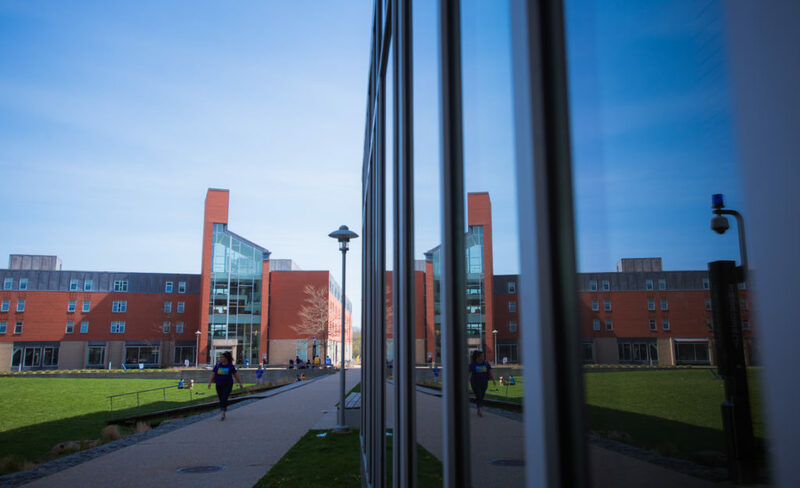 In a campus climate survey, fewer than half of nonwhite students and faculty said they were “comfortable” at Salem State. The college’s successes — and its setbacks — show how hard it can be to build an inclusive campus and eliminate racial achievement gaps, especially in a time of deep national divisions. The stubborn gulf between white and Hispanic students is at least partly due to systemic disparities in education. Compared to their white peers, Hispanic students are less likely to attend preschool, and more likely to attend low-performing public primary and secondary schools with inexperienced teachers and high leadership turnover. A weak academic foundation limits many Hispanics’ options for college. Nearly two-thirds end up in overcrowded and underfunded community colleges or second-tier public universities, while only 15 percent attend one of the 500 most selective colleges, where graduation rates are the highest, according to the Georgetown Center on Education and the Workforce. Hispanic students are also disproportionately low-income and the first in their families to seek higher educations, characteristics that make them more likely to drop out. “We’re determined to get all our students across the finish line in the same amount of time, but we’re not all at the same starting line,” said Andrew Hamilton, associate dean for student success at the University of Houston. Cultural expectations can create additional hurdles. Hispanic men, socialized to be providers, may feel pressure to drop out and work to support their families. Women, raised to be caregivers, can find themselves “caught between two sets of demands”: their families’ and their professors’, said Jennifer Morton, an assistant professor of philosophy at the City College of New York, who grew up in Peru. But demographics are not destiny. What institutions do with the students they have matters deeply. Even institutions with similar student bodies can have dramatically different results. Take Massachusetts state colleges. From 2013 to 2015, the achievement gap between white and Hispanic students at Salem State averaged 1.5 percentage points, according to The Education Trust, which compared Hispanic outcomes at various colleges. But at Fitchburg State, the gap averaged 14.8 percentage points, and at Worcester State, 11.7 percentage points. The three colleges enroll similar shares of low-income students with similar SAT scores. Still, he said, there are two things that seem to work for most colleges: enrolling a critical mass of Hispanic students and hiring diverse faculty. Salem State has made progress on both fronts. As the Hispanic population in Salem and neighboring Lynn has grown, the college has added bilingual admissions counselors and translated its recruiting materials into Spanish. It’s begun offering information sessions for immigrant parents in Spanish and has set aside scholarships for Hispanic students. Carlos Santiago, Massachusetts’ commissioner of higher education, said that native language outreach matters to Hispanic families. “It says something about the importance of Latino students to that institution,” he said. Another thing that helps: “Having leaders and faculty that look like them,” he said. That’s been a bigger challenge for Salem State. Though the college doubled its number of full-time Hispanic faculty between 2012 and 2016, Hispanics still made up fewer than 5 percent of full-time faculty — 16 out of 349. That year, only six full-time professors were Hispanic women. “You learn better when you can relate to the professor,” she said. Meanwhile, some students have blasted the Board of Trustees for picking John Keenan, a white former state legislator with minimal experience in higher education, to be president of the college over Anny Morrobel-Sosa, a former provost and dean who was born in the Dominican Republic. 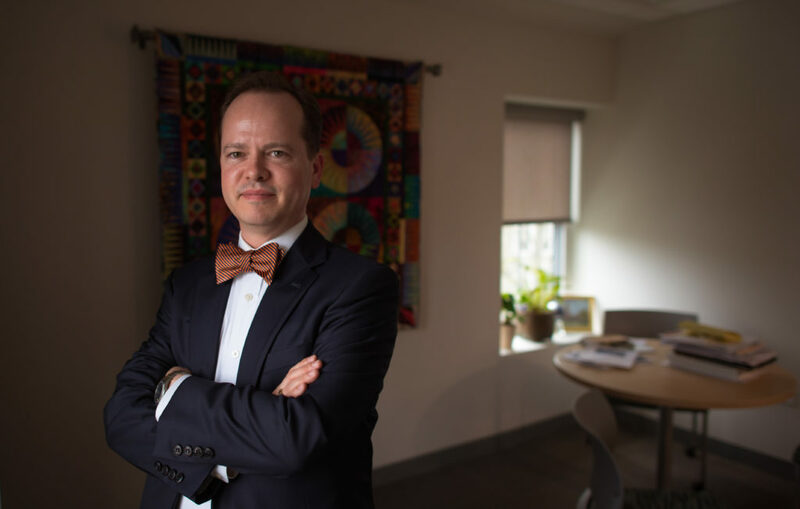 But Guillermo Avila-Saavedra, the college’s faculty fellow for Latino student success, said students need to see themselves reflected in more than just the faculty. They need to see Hispanics represented in reading materials, building names and visiting speakers. Avila-Saavedra is preparing a report that will ask the administration to name a room in the campus center after Cesar Chavez, the late co-founder of the National Farm Workers Association, and to create a hall of Latino alumni. Such symbolism “goes a long way towards demonstrating an inclusive campus,” he said. An historic seaport, Salem has long been a place that welcomes new immigrants – a socioeconomically diverse city with “sea captains’ mansions around the corner from tenement houses,” as Mayor Kimberley Driscoll, a Salem State alumna, put it. 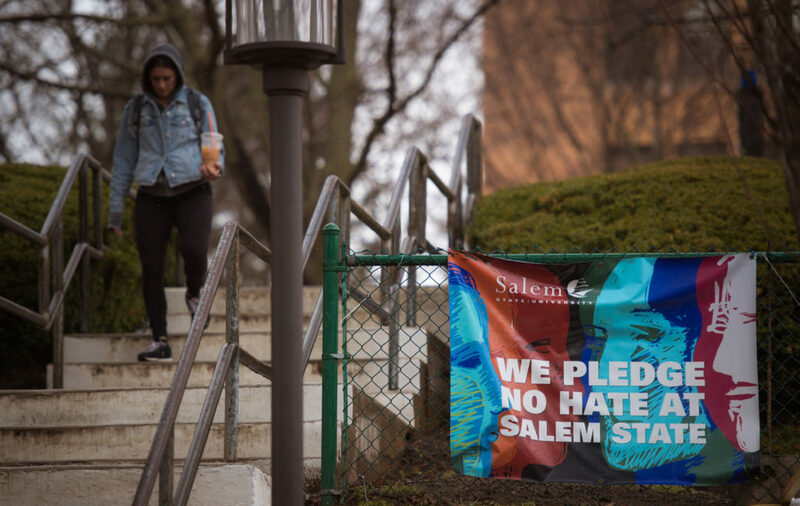 Yet Salem, whose name is synonymous with the witch trials of the 1600s, is also a place with an ugly history of intolerance. Lately, both sides have been showing, as residents wrestle over an ordinance that declared the city a “sanctuary” for undocumented immigrants. Some on campus believe the recent uptick in deportations of undocumented immigrants living in the U.S. and uncertainty around the future of the Deferred Action for Childhood Arrivals, or DACA, program may be partly to blame for the college’s backsliding on retention. Over the past two years, the college’s six-year graduation rate for Hispanic full-time freshmen has fallen more than five percentage points, to 45 percent. 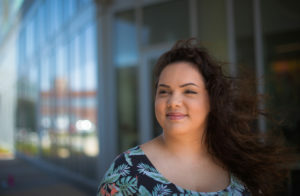 That uncertainty isn’t likely to disappear before Almodovar graduates, but Santiago believes Salem State, at least, may be approaching a “tipping point,” where pushback against the college’s growing diversity gives way to acceptance. He predicts it will occur when Hispanics make up a quarter of the student population. This story about Hispanic Progress in Higher Education was produced by The Hechinger Report, a nonprofit, independent news organization focused on inequality and innovation in education. Sign up here for Hechinger’s higher-education newsletter. 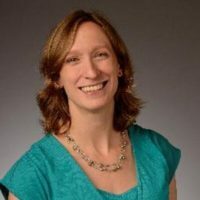 Kelly Field is a journalist based in Boston who has also reported for The Chronicle of Higher Education.